Enter to Win Great Holiday Prizes! We are excited to bring you the opportunity to win some great holiday prizes while also helping those in need in Windsor-Essex and Chatam. Two tickets to the ALL AGES charity concert The S'aints: A Holiday Celebration on December 21st, 2018 at Caesars Windsor at 8pm. One of three available Love Is The Answer holiday CDs. There are four total prizes available. To enter, simply "Like" our Facebook page and publicly share the original Facebook post. Winners will be annouced on our Facebook page on Dec 14th, 2018. The entry must fulfil all Campaign requirements, as specified, to be eligible to win a prize. Entries that are incomplete or do not adhere to the rules or specifications may be disqualified at the sole discretion of Team Coffin. Sharing the post more than once does not result in multiple entries. 1. Eligibility: This Campaign is open only to those who sign up by liking our Facebook page and sharing the original Promotion post. All those who enter must be 18 years of age or older. 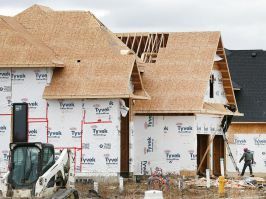 The Campaign is only open to legal residents of Windsor-Essex County, and is void where prohibited by law. Employees or agents of Royal LePage Binder, its affiliates, subsidiaries, advertising and promotion agencies, and suppliers, (collectively the “Employees”), are not eligible to participate in the Campaign. 3. Campaign Period: Entries will be accepted online starting on Nov 30th, 2018 at 5:00pm EST and ending Dec 15th, 2018 at 5:00pm EST. All online entries must be received by Nov 13th, 2018 at 5:00pm EST. 4. Prizes: The Winner(s) of the Campaign (the “Winner”) will receive two tickets to "The S'aints: A holiday Celebration" or one of three available 'Love is the Answer" holiday CDs. Actual/appraised value may differ at time of prize award. The specifics of the prize shall be solely determined by Team Coffin No cash or other prize substitution shall be permitted except at Team Coffin’s discretion. The prize is non transferable. Any and all prize-related expenses, including without limitation any and all federal, state, and/or local taxes, shall be the sole responsibility of Winner. No substitution of prize or transfer/assignment of prize to others or request for the cash equivalent by Winner is permitted. Acceptance of prize constitutes permission for Team Coffin to use Winner’s name, photo, likeness, and entry for purposes of advertising and trade without further compensation, unless prohibited by law.